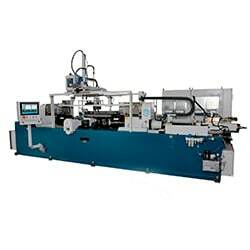 Our most advanced machines assure you a centering within 30μ and an orientation of +/- 0.5 degree along with a completely automated operation. Friction welding is a solid phase welding, in which two similar or dissimilar materials are made to rub each other to produce sufficient heat at the interface and when the impurities at the interface are removed as flash, stopping the relative motion of jobs and applying a forge welding force produces a strong metallic bond between the materials. ETA has designed and supplied a range of cost effective Friction Welders of capacity ranging from 15kN to 2000kN across industries. 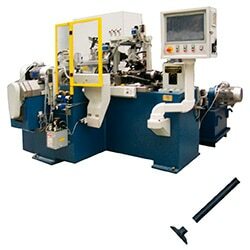 Machines are available in vertical, horizontal or inclined configurations with or without tie rods and can supplement your lean manufacturing practices. 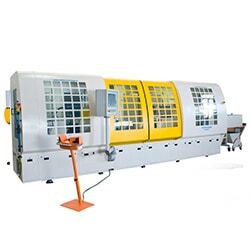 Machines are also offered with twin heads, built-in or standalone deflash units, automatic component loading/ unloading systems, special vices for welding unlimited rod/ pipe length etc. With more than 25 years of expertise in designing and manufacturing Friction Welding machines, the we ensure that the machines we design for your needs are energy efficient, assure you an industry leading accuracy of weld length and orientation and a fully automated operation. Our machines help you join a wide range of different material combinations with minimum burn-off while being cost-effective. We assure you a consistent output quality and at the same time, eliminating the need for a skilled operator. 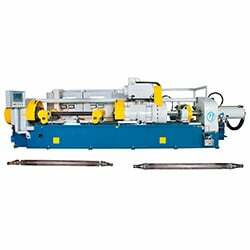 Below are a few key features of our Friction Welding Machines. Regenerative braking helps save energy, thereby making our Friction Welding machines(Friction Welders) more energy efficient. 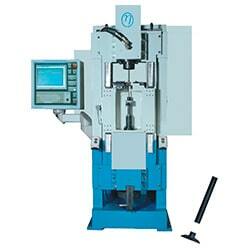 The clamping system in our Rotary Friction Welding machines assure you a centering within 30μ. Our Spindle assembly assures you an assured orientation of +/-0.5 degree for the weld. Spindle driven by AC servo motor. Welding force is provided by servo hydraulic cylinders in closed loop control system. Pressure transducer/load cell and linear scale feedback is used for load and displacement control. 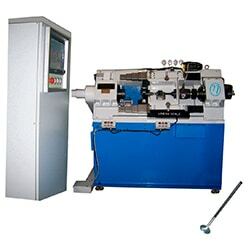 Our machines provide real time metrics of important parameters like axial thrust, spindle speed, loss of length and spindle torque during weld cycle. Our Rotary Friction Welding machines are continuously evolving to support Industry 4.0 and connected manufacturing. Product operational metrics can be monitored and analyzed remotely on a continuous basis. Continuous Innovation is a key theme embodied in the machines we design for you. 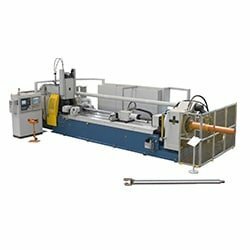 This very concept has enabled us to introduce many path breaking innovations which are among the first in the industry as well as enable our Friction Welding machines to be the best in its class. Our Friction Welders are designed for precise control using a closed loop model, high availability and an ergonomically designed layout. Backed by a strong R&D team, ETA’s Friction Welding machines have always been at the forefront of technology and thereby providing our customers with a cost effective solution. 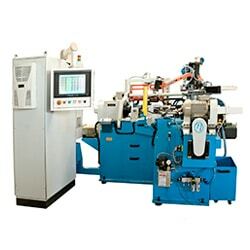 We have also ensured that the machines we design for you imbibe the expectations of modern production processes while being environmentally relevant. 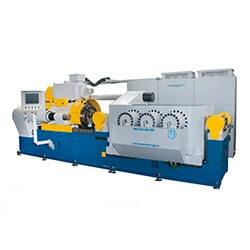 Shown below are a representative list of machines under Rotary Friction Welding category. ETA follows an Engineered-To-Order(ETO) process in most of the cases since building a product starts with understanding customer requirements. 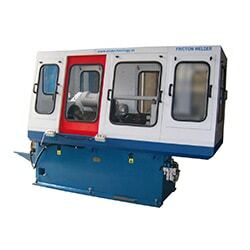 Shown below are a subset of Friction Welders that we have built for our customers and are operational worldwide. You may read our technology section which explains the Friction Welding process, its applications and the various tests that a forged component need to undergo to ensure that the joins are good enough for use.